Choose from the most durable hardwoods in the world for your next flooring project. An Ipe Depot hardwood floor will last a lifetime! 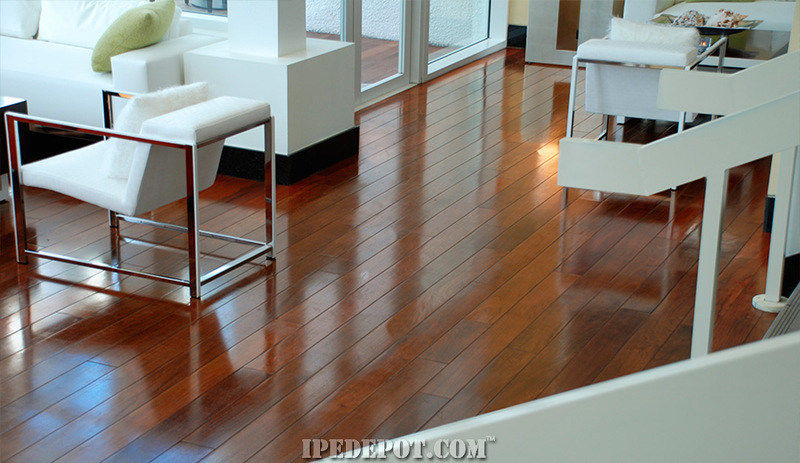 Above Picture: Common/Select Ipe Flooring has great character. We can custom mill flooring to a variety of widths and lengths in over 50 different species. Do you want Wider or Longer flooring? Or a unique specie? Check our online pricing below or call us for a custom quote. Our flooring is a cut above the rest. We manufacture our custom flooring in our Buffalo, NY facility with the finest European equipment. 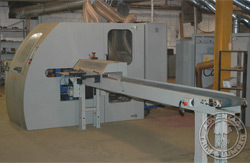 This end matcher pictured above allows us to produce long custom flooring up to 20' long. Most manufactures can only produce 8' long. We produced this Santos Mahogany flooring with lengths up to 12' long as requested by a customer. Long lengths add to the beauty of a floor and also speed installation time. 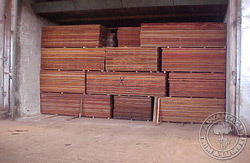 We handle a large volume of flooring produced by our mills in Brazil. 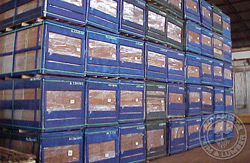 Shown above are flooring bundles in export crating, ready for shipment to our US facility. Our material is thoroughly kiln dried in dry kilns like above to 6 to 8% moisture content to assure maximum stability. We can custom mill from any specie. 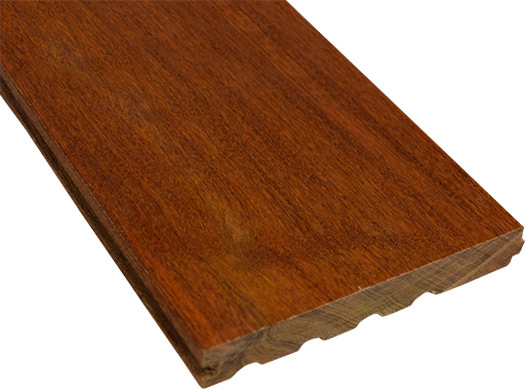 We can offer the option of wide widths and lengths in over 50 different domestic & exotic lumber species. Custom sizes available up to 8" wide. We are direct importers of exotic hardwood flooring. We are able to offer excellent pricing on hardwood flooring since many of our mills that manufacture our Ipe decking also produce flooring. 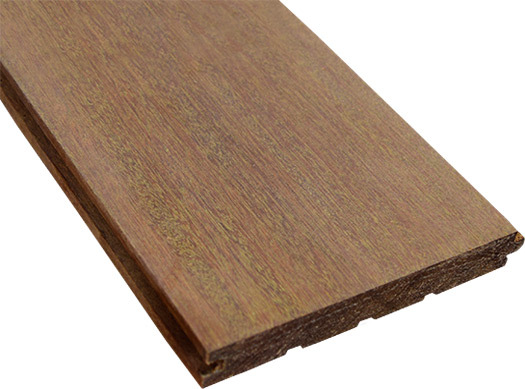 Our large volume of decking imports allows us to overlap our buying power on exotic flooring. 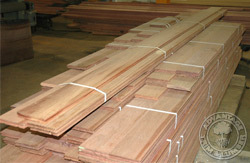 We can also produce custom dimension flooring in a variety of sizes and in over 55 different species in our US mill. To view more of the species that we can produce custom flooring from visit the hardwood lumber section of our website Advantage Lumber Hardwood Selection. This will give you a overview of some of the species we can custom mill. Please call us for a custom quote.